Far too many people hear about it, but don’t realise that Cape Town, South Africa is perfect for holiday makers. It has everything you could want in a lively, fun, and adventurous getaway, and has no shortage of affordable Cape Town hotels to choose from. A good variety of environments are available to explore and enjoy, ranging from tropical beaches to rolling country farmlands brimming with treats and people who know how to make the best of any situation. Such a wide array of places to see and things to do calls for bringing along everything from your Sunday best, to your party time favourite clothes and accessories. You’ll need to know some tips on packing for your first visit to Cape Town so you’ll always be at the ready for the fun. Cape Town is not where superheroes buy their costumes, it’s a port in South Africa. The Atlantic Ocean is to its west and the climate can range from quite hot in February to quite toasty in the spring and summer. This means you’ll be in need of packing tips that will cover the full duration and expected activities. Itemising is of paramount importance. Don’t stuff beach gear with evening wear as that is disorganised and will only be a chore to handle. Any electronics like laptops and such should be packed in one bag, preferably something you can carry with you while your main luggage rests in the bins. This is so that in case of an emergency, you are not without your computing, communications, and expensive possessions. Jewelry and costly apparel should be packed securely. You can carry this and the clothing in a separate compartment within the regular luggage to prevent damage and easy withdrawal for those surprise party venues. Taking care of the valuable things shows responsibility and care and will lead to less headaches. All packed items should be clearly labelled. English and other languages are readily spoken in the country so it’s best to have labels for your language in English and perhaps a second language to lessen confusion. Tags for the outside of the baggage and tags for items inside will allow for easier retrieval should things become lost. Even a photo tag is helpful for easier recognition. The big items might be a bit of a challenge to carry about so be careful not to overdo it. Cape Town can be incredibly hot during the summer months, so you’ll want to pack light clothing and ensure you have water on you at all times. Many people who are visiting for more than a short vacation will also check out sites like Mashoid and look into changing their hair style to more easily cope with the hot weather. Makeup-wise, natural is best so don’t pack too many heavy products. A sunhat, sunglasses and sun cream are also essentials. When in Doubt, Post It! If it’s not essential, leave it home or use the old ‘post it’ routine. To save on baggage fees, you can mail your gear to a registered postal recipient, including the friendly hotel you’ll be staying at. This can save you tons of money and time. If you’ve got friends or family who are happy to receive them, post your baggage to them to hold until you arrive. The same goes for on your return trip. Overall, your stay in Cape Town can go smoothly with just these simple, yet helpful packing tips. Cape Town is best to visit in the summer months between November to March. The weather is immaculate and the beaches and wine estates are world-class. 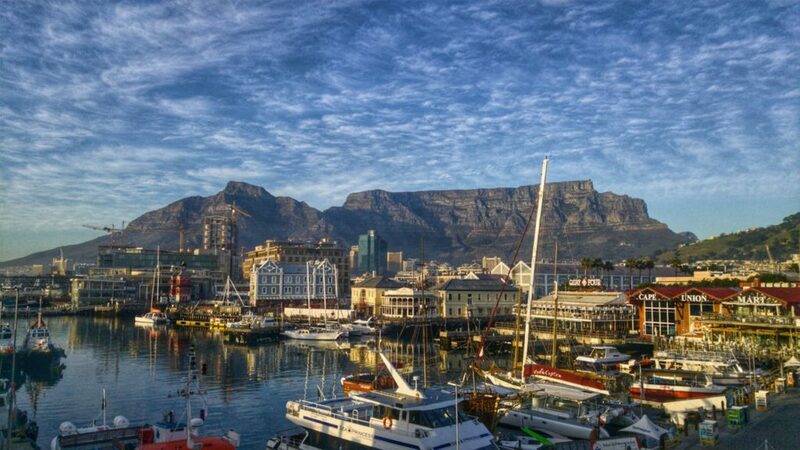 Cape Town is often voted as one of the top 10 holiday destinations worldwide and it is easy to see why. The natural beauty of the location on the southern tip of Africa where the Atlantic meets the Pacific combined with the fauna and flaura, local cuisine and culture makes for a spectacular holiday destination. There are many attractions and types of accommodation available in Cape Town, so it is best to visit a tour operator like AfricanSafariHome.com or similar. There you can see package options, get expert advice or more info in the help centre. Cape Town is of course known for Table Mountain which overlooks the city with it’s flat mountain top and cable car access to the top. It is however only one of the many must see sights in the city. Other popular attractions include the Miami strip of South Africa or Camps Bay as it is known. There is also Boulders Beach where you get to swim with Penguins in their natural habitat and Robben Island for a historical tour of where the great Nelson Mandela spent much of his time. Cape Town also offers world-class wine estates with the Constantia area producing excellent white wines and the Stellenbosch area with excellent reds. Should you wish to venture further up the coastline you can enjoy whale watch and shark cage diving with a variety of shark including Great White and Ragged Tooth. 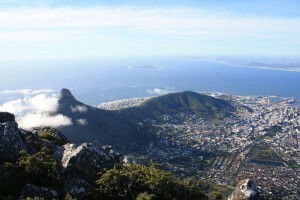 Cape Town is the heart of the Rainbow Nation and should be on any traveler’s trip to Africa. Wildlife safaris can also be arranged from this area and some of the bigger reserves are only a short flight away.